The Department of English is uniquely positioned to host the Research Centre for Professional Communication in English (RCPCE). It possesses an established reputation in the area of professional communication, both in terms of its research activities and expertise and its academic programmes which are all professional communication-oriented. Members and associates of the RCPCE are involved in solid and internationally acclaimed work in (critical) discourse analysis, discourse intonation, intercultural communication studies, language assessment, lexical studies, systemic functional grammar, and so on related to professional contexts. To provide an environment which attracts research students committed to pursuing applied research within the broad area of professional communication. Professional Communication is an area where research and development work can yield important theoretical insights as well as practically-relevant outcomes. 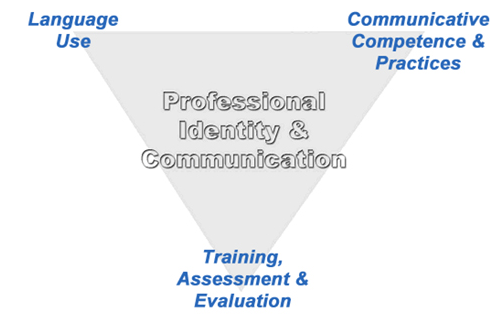 Not only does research in professional communication dovetail into existing research fields, such as discourse analysis, intercultural communication, managerial communication, organisational behaviour, and so on; its research products can also provide valuable input to the creation of language and communication training programmes and the publication of professionally-oriented textbooks. Professional communication is an area which attracts a considerable amount of interest, both in Hong Kong and internationally. Corporations, associations and professional bodies already exist and attempt to apply available research findings in practical ways, through the design and provision of language training programmes (e.g. The Workplace English Campaign), the design and promulgation of language policy (e.g. The Language Campaign), and so on. Given the importance of communication in professional contexts, it is important that Hong Kong has a research centre which has an unequivocal focus on professional communication. This research centre is the RCPCE.